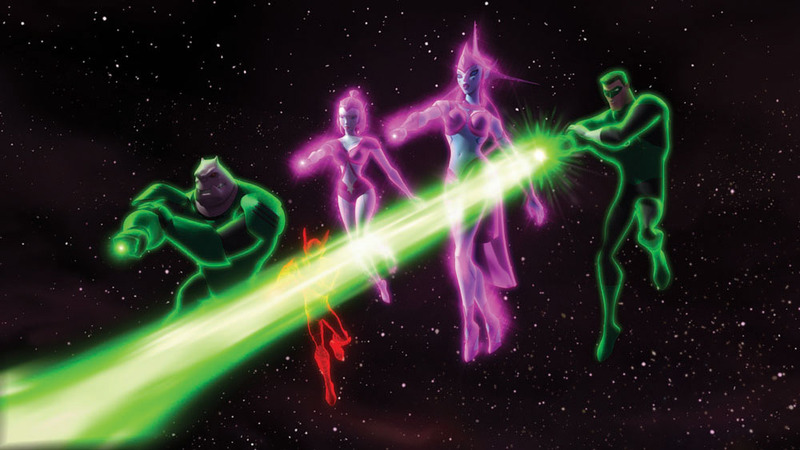 Recently, Green Lantern: The Animated Series‘ first season came to a close as part of Cartoon Network’s DC Nation programming block. 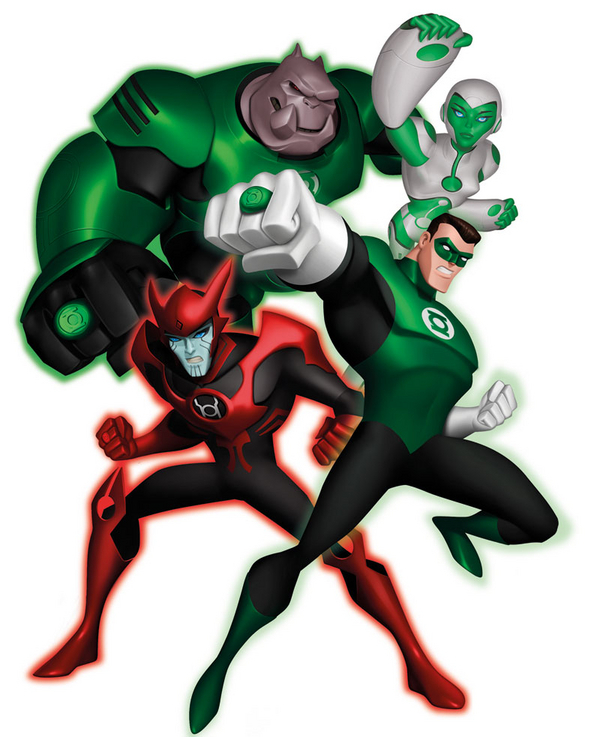 Loosely based on the more recent stories of the Green Lantern franchise, most of the season was dedicated to the Red Lantern Corps. As the season also set up the Star Sapphire and Blue Lantern Corps, the Sinestro Corps was notably absent (likely due to its rights tied into the film franchise) though the presence of some mysterious yellow rock that interferes with the Green Lanterns’ power acted as a placeholder for it should there be a second season. Should there be a second season, it would be likely to feature some adaptation of the War of Lights saga from the comic book franchise (only having to incorporate the Sinestro Corps, Larfleeze, and the Indigo Tribe). While generally enjoying the series which loosely adapted stories like the Green Lantern Corps arc that introduced Iolande and adapting characters like Byth Rok, Appa Ali Apsa, the Spider Guild, and Mogo, it was admittedly short only lasting thirteen episodes. 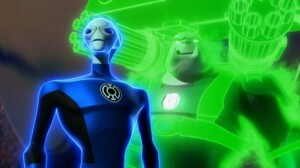 Further, it was seemingly cut quite short after only thirteen episodes of the Lanterns journey into the Frontier having a large chunk of space to explore and yet it was seemingly done in this short span with the crew returning to Oa (though, likely the comic book that tied into the series expanded upon this journey which I admittedly haven’t read). It’s also frustrating to get more than halfway towards setting up the War of Lights only to end. However, this all said, Hal Jordan has largely acted on Earth for most of his existence so if a second season were to come up, it would be appreciated to have the hero take on some of his traditional rogues like Dr. Polaris, Sonar, Shark, Evil Star, Myrwhydden, and Black Hand (though, a quick internet search tells me the comic introduced the Invisible Destroyer and Tattooed Man). 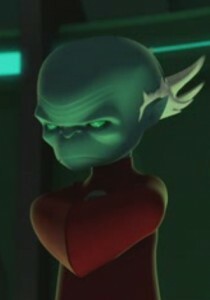 One unfortunate aspect of the series was the change in character of Appa Ali Apsa, having been the Guardian in the comics who traveled with Jordan and Green Arrow and become the first of his brothers to re-embrace emotion (a role generally filled by Ganthet in the series in line with his behavior in recent history that led to his formation of the Blue Lanterns with Sayd), instead becoming more of a traditional Guardian from the early comics. In this, it seems unlikely Appa will in time became the Mad Guardian in the series unless his motivations were drastically shifted from the source material (which could happen with his departure to the Frontier). This said, however, considering the adaptation of recent stories, perhaps someone like Scar would have better served the role assigned Appa. The length of the season aside, even by season end the animation style hasn’t grown on me. Perhaps because I’m use to traditional hand drawn animation and I understand the quality of animation for a television series couldn’t match that of a film like something from Pixar or DreamWorks because of cost, I just think if you’re going to do something, you should do it right. However, it maybe something I will have to get use to because it seems CGI is the trend animation is heading towards (which is likely cheaper, though I can of course retort you get what you pay for). Green Lantern: TAS is the first CGI animated television series from DC Comics with Beware the Batman coming next year also employing it. Green Lantern was a good effort but if it’s renewed, I would hope there would be more than another thirteen episodes and we get some variety outside fighting power ring users.